It’s that wonderful time of year when bright lights illuminate the Winter nights, elaborate jumpers make an annual appearance and we all indulge in a spot of festive cheer. But while Christmas brings gifts and warmth to one another, it’s also the season that brings out the most anticipated blockbusters, small screen premieres and a chance to relive old classics. So here at Inside Media Track, we’ve compiled our guide to the best films to find at the cinema and showing on your TV this Christmas. 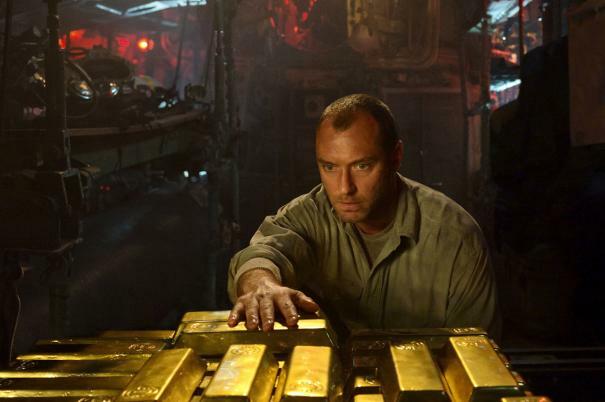 If you’re looking for the big screen treats, December gets up and running when director Kevin McDonald‘s submarine adventure The Black Sea staring Jude Law and opens December 5th, but if it’s the family your wishing to take, the same day sees Madagascar spin-off scene stealers The Penguins Of Madagascar have their very own outing. 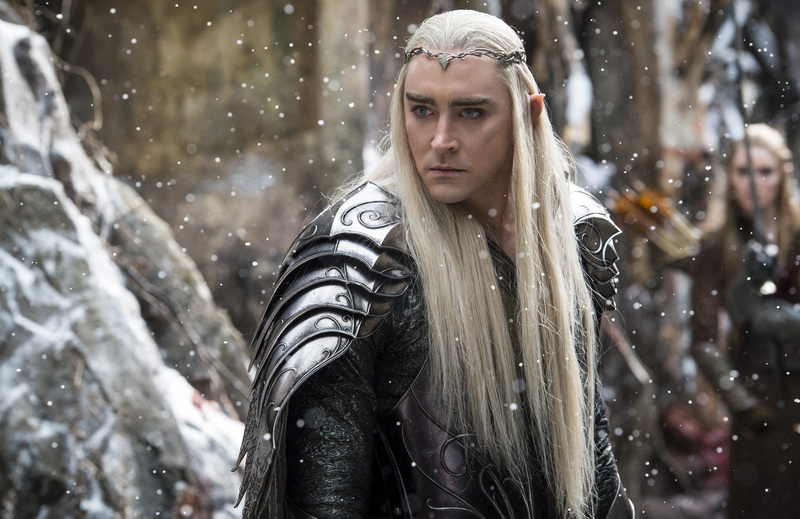 However, December 12th sees the release of the biggest movie of the holidays as Peter Jackson‘s final trip into Middle Earth looks to go out with an epic bang in the finale to The Hobbit trilogy in The Hobbit: The Battle Of The Five Armies. With the insurmountable wealth held at The Lonely Mountain by the dragon Smaug, Bilbo (Martin Freeman) finds himself caught in the middle of a broiling war between the different factions of Middle Earth to claim its treasure, resulting in a war like never before. But if it’s something a little lighter to take the family to this Christmas, December 19th sees the release of Night At The Museum: Secret Of The Tomb which sees regulars Ben Stiller, Owen Wilson and Ricky Gervais return for a third time. 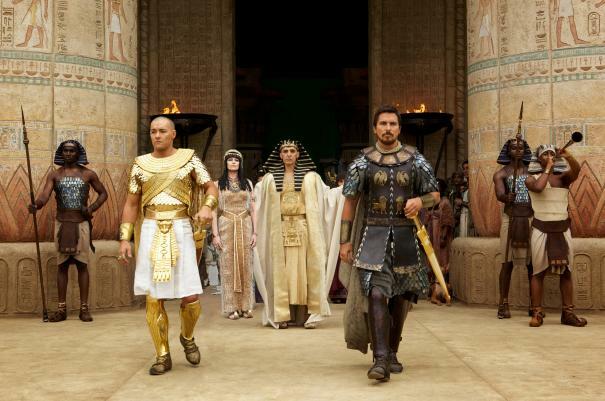 But if it’s full on action you’re looking for, Exodus: Gods And Kings hits cinemas Boxing Day as Ridley Scott returns to the sword and sandals epics he knows all to well from his success with Gladiator. Taken from the story of Moses, the films stars Christian Bale and Joel Edgerton as a rivalry threatens to rise into truly biblical levels, all in the form of the ultimate builder of worlds in director Ridley Scott. If venturing out to the cinema doesn’t sound appealing, there is plenty of big named movies making a showing on TV over the Christmas period. 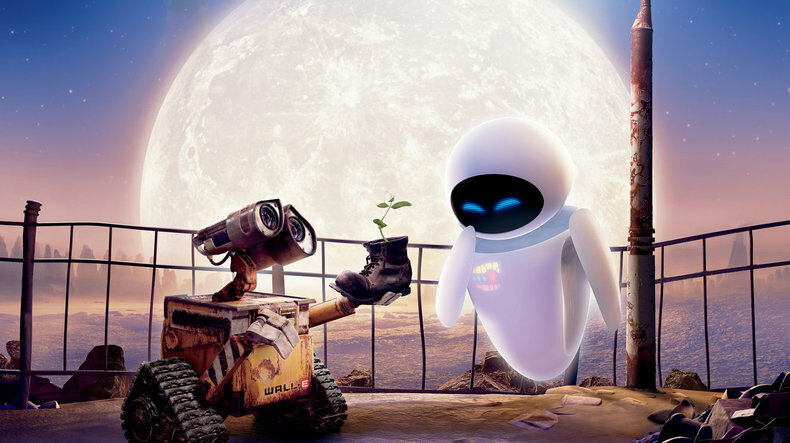 Early morning charm is on the menu on Christmas Eve as The Iron Giant (C4, 10.25am) and Wall-E (BBC1, 11am) put the heart and soul into all thins mechanical, two movies with genuine heart-felt heroes and perfect family viewing. If that’s not enough, later that day, Wallace & Gromit: The Curse Of The Were Rabbit (BBC1, 2.10pm) and Muppets Christmas Carol (C4, 4.55pm) are enough to get you in the Christmas mood, it just wouldn’t be a Christmas without either of them on our screens. 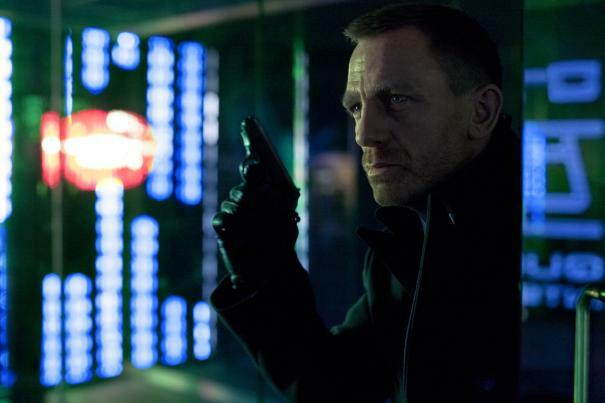 Christmas Eve also sees the terrestrial première of Skyfall (ITV, 8pm). The bond movie that took a billion worldwide and easily one of the best and most coherrent Bond movies in recent times, with Daniel Craig on the top of his game. Just before however, Toy Story 3 (BBC1, 6.25pm) showcases how to make the perfect third installment of a franchise and a film enough to make both younger and older generations have a tear in their eye. Christmas day itself is a day for the 80’s classics as Back To The Future (ITV, 10.50am), Scrooged (C4,2.20pm) and Big (C4, 4pm) make for perfect afternoon viewing during the gift giving and the cracker pulling, but its Boxing Day that really has the festive treats. If it’s a musical you’re after, Singin In The Rain (BBC2, 1.50pm) is the perfect song and dance number for holiday cheer, whilst the afternoon sees an animated double bill of Monsters Inc (BBC1, 3.20pm) and the première of The Pirates: In An Adventure With Scientists (BBC1, 4.40pm). An underrated family favourite with a smart entertaining twist from the great Aardman studios with voice work from David Tennant and Hugh Grant. All resulting later that evening with the big screen première of Avengers Assemble (BBC1, 8.30pm), Joss Whedon‘s rampaging hero adventure with as much fun, wit and humour as you’ll find in any comic book movie, with stars such as Robert Downey Jnr, Chris Hemsworth, Scarlett Johansson and Tom Hiddlestone. Sky Movies subscribers are also treated this Christmas with premieres such as the Oscar-winning Her debuting Dec 12th. But Christmas Eve sees the première of one of the movies of the year in the form of The Lego Movie. Taking a massive and much-loved industry an creating a nonstop ride of action and comedy. 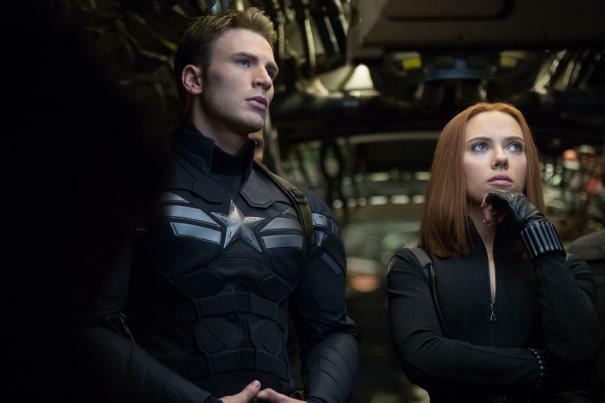 But the biggest première is for Christmas Day as Frozen provides the perfect family viewing, followed by Captain America: The Winter Soldier, with Chris Evans, premiering Boxing Day. If that isn’t enough Marvel comic book fun, New Year’s Day also sees the première of The Amazing Spider-Man 2 with Andrew Garfield, Emma Stone and Jamie Foxx. We hope you’re able to catch and enjoy as many of these festive movies as possible, both at the cinema and in the comfort of your own home. And above all else, we wish you a safe and happy Christmas.